When I first heard that The Retreat was to be introduced on board Ventura I was a little apprehensive but excited at the same time. I had heard many mixed reviews about The Retreat on board sister ship, Azura. Some liked it and some loathed it so it would be interesting to see what reaction Ventura’s Retreat introduction would receive. 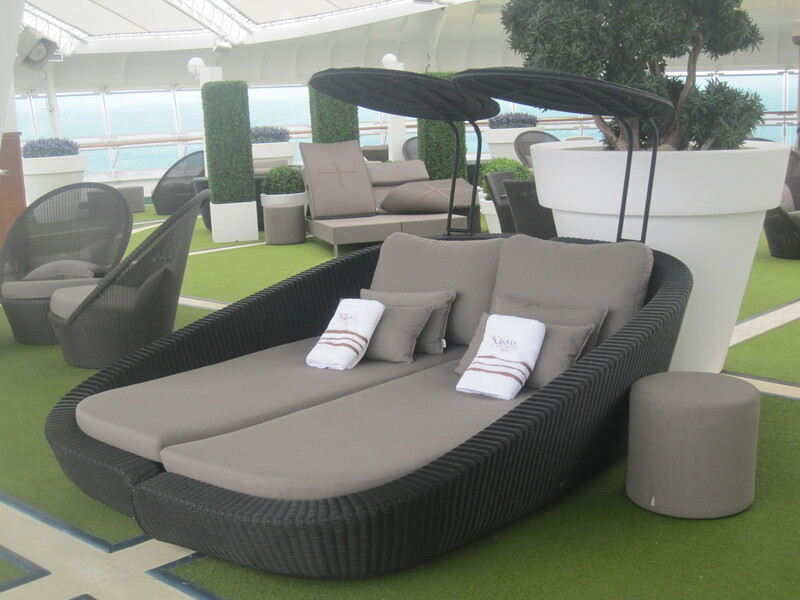 My last cruise provided the perfect opportunity to have a good explore of her new rest and relaxation area and personally, I liked it! I had planned on visiting for several hours but during the cruise one thing led to another and I just never got round to it, so on our final sea day I decided it was the perfect time to go off and explore what had previously been a standard deck, like every other. Full of trusty blue sun loungers and semi-naked passengers soaking up the summer sun. I knew it would be different from this but I wasn’t quite sure what to expect. You now access this deck via the Spa reception, walking ten or so feet until you reach the door that leads you outside to the Oasis Pool. You walk up a few stairs and come to a small gate, this is The Retreat. There are padded sun loungers, huge outdoor beds and chairs that look like they would never let you back out the moment you sit down. 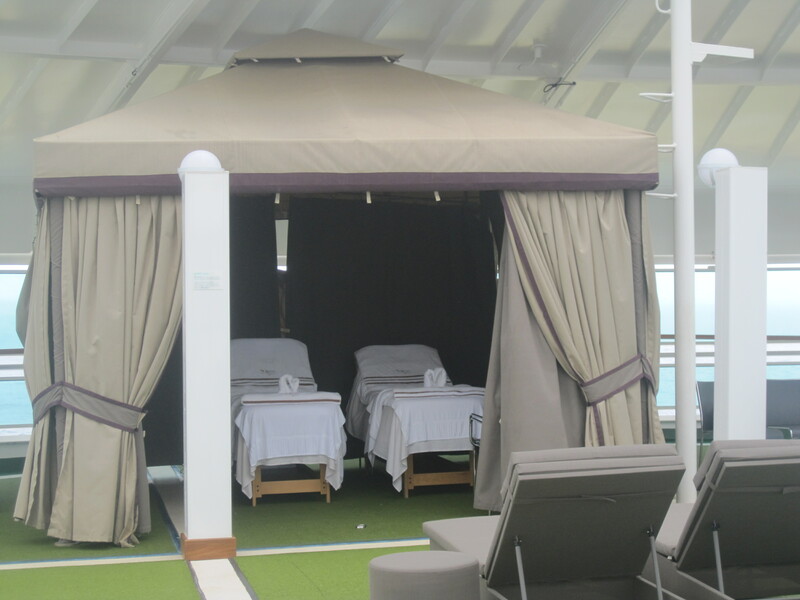 A lovely cabana sits in the middle of the deck and on hand to help with anything you may need are stewards, on this day there were two. Because of the weather the cabana had been closed up but I asked one of the stewards to open it up so I could look inside. There were two massage beds set up, where for an additional charge you could receive more or less any treatment you could think of. They offered daily specials throughout the cruise for various treatments, from massages to facials. As an example you could indulge in £20 facials, a 15 minute Expert Touch session for £15 or you could opt out entirely and simply enjoy the day lounging, the choice is yours! The entire space felt very nice, everything was spaced generously so you really did have your own privacy and the overhead covering allowed it to be airy but not too hot from the midday sun. As I mentioned, you are just a stone’s throw from the Oasis Pool and Jacuzzi’s so really you didn’t need to move far for anything. Because of The Retreat’s placement, high at the forward end of the ship, the views on offer were also very nice depending on where you decided to perch yourself for the duration of your stay. In my opinion the addition of The Retreat to Ventura was a great idea, the ship was missing a relaxation focussed deck area and this fills it perfectly. It’s not to everyone’s liking, but for those that do enjoy something a little extra special you will find it has been designed with that perfectly in mind. One big attraction for me personally is the fact it’s delicately indulgent and not over the top. Sometimes area’s like this can be over stressed and make you feel somewhat uncomfortable, this space didn’t feel like that at all. I don’t mind a little treat in the form of relaxing in an area like this for an hour or two but I’m not really into the pamper aspect of it. I just want to be left alone for a few hours not fanned down like I’m Cleopatra so again for someone like myself it is ideal as you can do just that. On the other hand though it then blends seamlessly with the pamper options that are available, where you can indulge day in, day out, until your heart’s content. I suppose essentially you can make it whatever you want it to be. 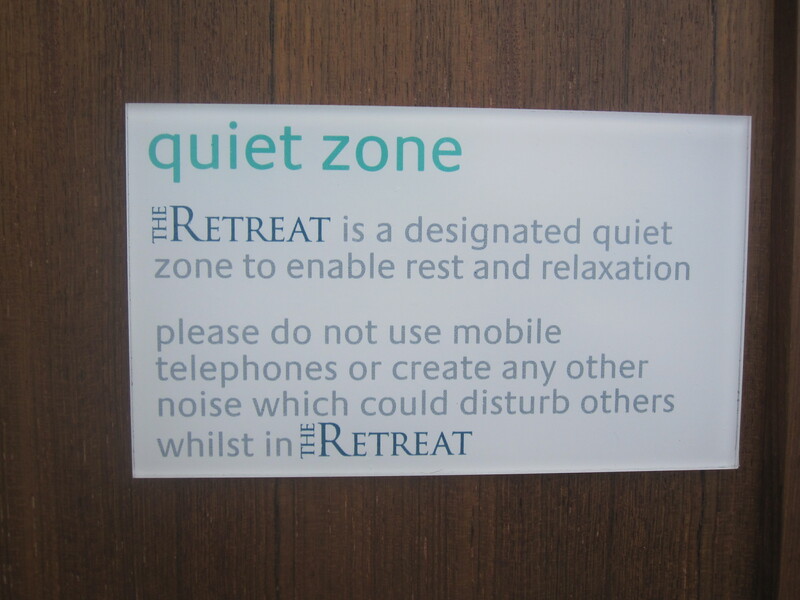 The cost to use The Retreat is £20 per person on sea days or £12 per person on port days. 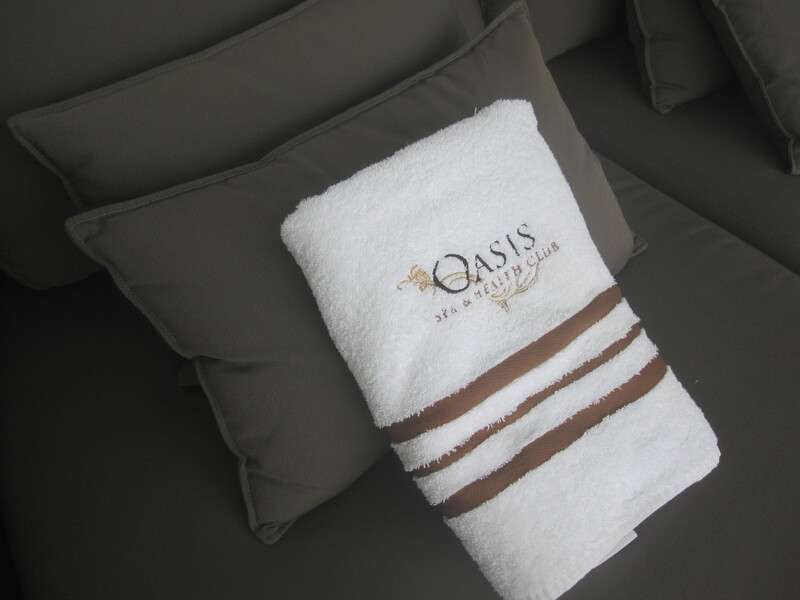 They also offered a 2 week couples pass for £200, this also included the use of the Thermal Spa. Give it a try next time you are on board Azura or Ventura. Thats interesting re the £200 for a couple for the whole 2 weeks, that what’s we paid on Azura but they told us it was a special deal as they were doing works. They oversold it and there was absolute chaos, so much so the captain got involved, people paid but there were no sunbeds left in the sunny part, there was almost mutiny ….they had to refund people and the scramble in the morning was dreadfuk, it didn’t open till 9 and the queue was about 40 people long….then the doors opened and people flew up the stairs to grab a bed, in the end we didn’t bother using it as couldn’t be arsed to fight for a sunbed when at 8am there were 100’s elsewhere. Was it full up there?? ?